It is a popular belief that burning wood to prepare your food is a thing of the past and only purists do it. This statement is, however, inaccurate. The modern wood-burning cookstoves are made the by the implementation of the very latest technologies. 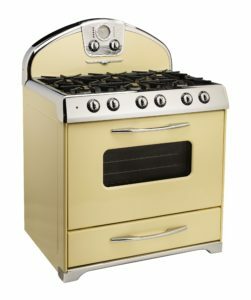 Their designs also completely vary from the ‘traditional’ wood cookstoves. A wood stove is a highly mobile unit and it can be placed anywhere in the house. However, the stipulation is it should be adjacent to the outside wall. This would enable you to put the vent pipe outside your house. This mobility also allows you to locally heat any part of the house easily. This could totally eliminate the use of an expensive central heater. The biggest benefit of wood stoves over conventional stoves and central heating systems is its heating technique. In a central heating system through vents, the warm air is blown through air vents which do not provide the quality of heat that will be provided by the stove’s radiant heating. In the wood stove, the heat is released in every direction, thus the air warms up, making the surroundings warmer. Using a stove which uses electricity or fossil fuels as the primary source of energy can be very taxing to nature. Burning these fuels produce fumes containing many harmful elements. Burning wood, however, does give off fume, but the fumes released in this case does not pose a threat to the environment. Trees, where the wood came from, absorb a lot of carbon dioxide from the atmosphere, burning them is just an act of balance. Power outages are the worst, especially during the winters. Therefore, you must know how crucial it is to have a heating source which would be a cent per cent reliable even under extreme conditions. A wood stove would not only allow heating up your home effortlessly but also cook your meals with great efficiency. When comparing to other fuel prices, wood is the least expensive one. The heat it produces is unparalleled to any other equipment. Perhaps no other equipment of your daily use would double up as a heater as well as a cooker. The cooking on the wood cookstove, however, requires a little bit of getting used to the temperature adjustments. Not only a wood cookstove is essential in terms of utilities, it can be used as a premium décor item too. Cookstoves come in various, often ornamental, finishes. This makes keeping them, in any part of the house as a decorative showpiece, relevant. Most of the items have grown ‘smarter’ these days. This requires making ‘smarter’ choices like getting a cookstove absolutely relevant.